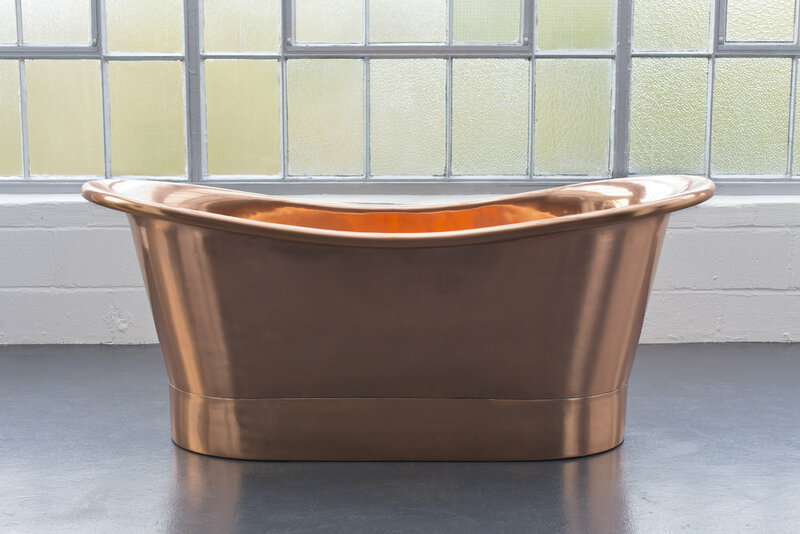 Our Irthing Copper Bath brings you everything you’ve come to expect from London Encaustic - that is classic designs, handmade craftsmanship and original luxurious looking baths that come with hard wearing materials that will outlast your investment. It’s smooth, it’s sleek, it’s glamorous without sacrificing on comfort. 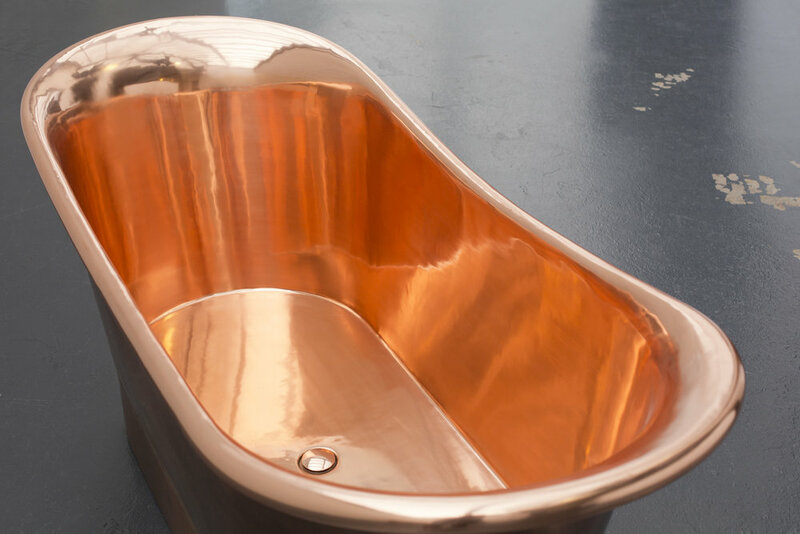 It brings you the warm gleam of copper that’s been highly polished on the both the interior and exterior to create a luxury bath that really will deliver on levels, giving you both functionality and aesthetic appeal. 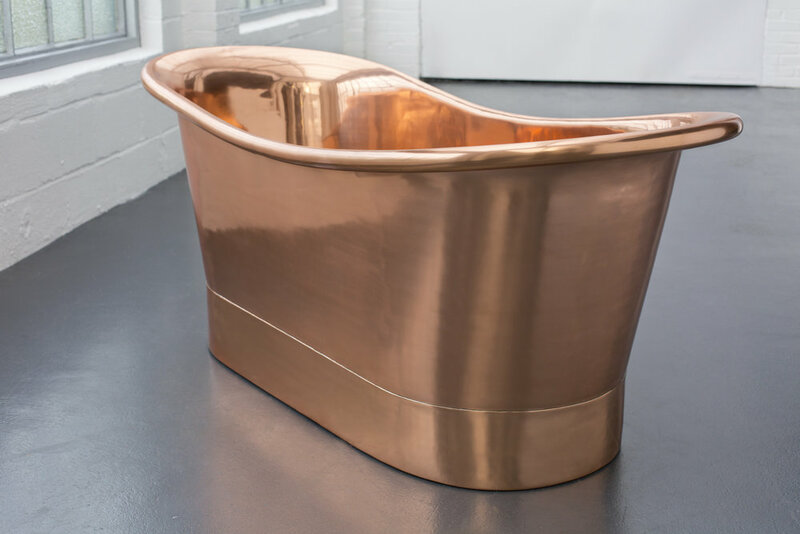 Yes, like all our baths it’s treated to our handmade treatment, high gauge copper and then hand beaten, polished and given a sealed finish. Using this method means all our baths look original and unique without any one bath looking identical. You go away with a hand finished bath that will be the talking point for anyone who visits your bathroom. It’s the focal point you’ve been waiting for. Have it in our standard size which is (l)1700mm x (w) 705mm x (h) 710. However, if you need a bath outside of the standard range, we’ll create one specifically to your requirements, taking around 8 weeks to manufacture and deliver.